Today we have a styling using items from the D.hygen collection! 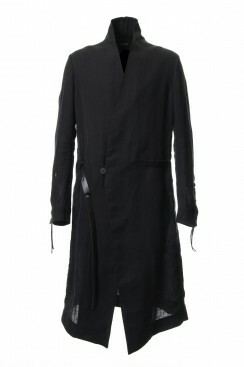 The outer gown coat of linen material is used as the main. The linen fabric has a small amount of nylon fiber blended into the linen and has a lightweight finish with no lining. The leather strap at the waist attracts attention as an accent. 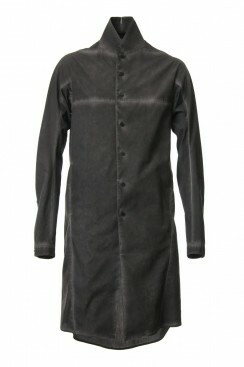 The long shirt used for the inner part brings out the masculinity by the expression of cold dye! It is a work that you can thoroughly enjoy with the designs of D.Hygen! The pants are also one of the works in which the designer's commitment to making clothes can be felt. D. hygen's patterns is what makes them stand out! These pants are set tight from below the knee while leaving room in the upper half. 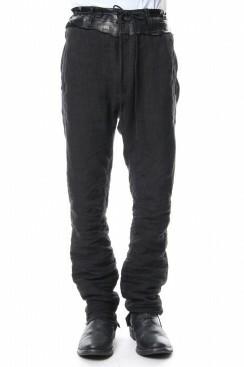 It is a recommended pants that combines ease of movement while being designed with a sharp silhouette. 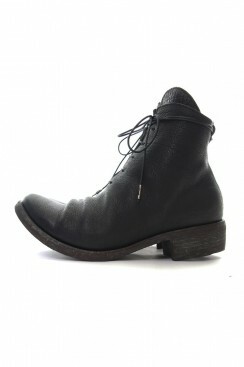 The shoes are matched with baby buffalo leather lace-up boots. As well as pants, it features a sharp silhouette. It is a shoe that is finished in a clean impression by narrowing the edge. The compatibility with pants and boots is also excellent. D. hygen us a brand with a distinctive brand identity. They feature comfort and are easy to wear while being fashionable.